We’ve blogged about the need for professional translations of informed consent forms (ICFs) for doctor’s offices and hospitals. Accurate translation services for biomedical studies and pharmaceutical trials play a very important role as well. Are you a risk manager or in-house counsel for a pharmaceutical company or educational institution? Do you regularly handle research studies that involve FDA regulations? Does your company obtain informed consent from your clients? If so, it is vital that non-English speaking people who sign your informed consent forms know what they are signing. In fact, as discussed below, regulations with regard to non-English speaking participants require that informed consent forms are translated accurately. Simply put, you need to make sure that an informed consent document is legally enforceable. Yet to satisfy those important requirements, working with non-English speaking participants in a study is not as cumbersome as you may think. Legal translation services will make it easy for you to ensure that all study participants, even those who cannot speak, read, or write English, can provide legally enforceable informed consent. When you hire a legal translation service with experience in translating enforceable informed consent forms, obtaining informed consent from non-English speaking research participants becomes easy. Most importantly, expertly performed legal translation services will give you the peace of mind that all study participants and/or customers understand the scope of their consent. Undertaking studies or activities involving the Food and Drug Administration or overseen by the Department of Health and Human Services? Make sure you follow the requirements 21 CFR 50.20 and 45 CFR 46.116 for informed consent regarding such research studies. Because of the importance of informed consent, the regulations of 21 CFR 50.20 and 45 CFR 46.116 provide that no investigator/researcher may involve a person as a subject in an FDA research study unless they have obtained legally effective informed consent of the subject or his or her legally authorized representative. Informed consent must be sought only when the prospective subject, or representative, has a sufficient opportunity to consider whether or not to participate in the study. The consent has to minimize the possibility of coercion or undue influence. Moreover, the information given to a subject in an informed consent form must be in language that is understandable to the subject, or his or her representative. 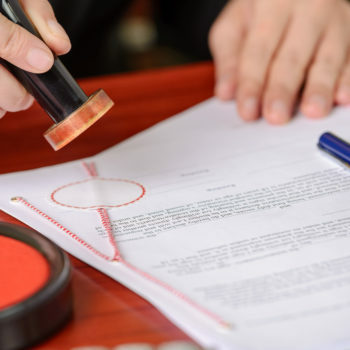 No oral or written informed consent can include a request for the subject to waive his or her rights, or release the investigator from liability for negligence. Those requirements become all the more important when dealing with non-English speaking subjects. The requirement that an informed consent request must be in “language that is understandable to the subject” means that it should not only be in terms that can be understood by an average person, but also should be in the primary language of a non-English speaking subject. A copy of an informed consent form should be provided to the subject of the study, and that means in the language that the subject understands. An oral translation of a written informed consent document in English will not suffice. If, during the course of a study, you encounter a non-English speaking subject unexpectedly, then having a legal translator on call is necessary. However, it is still preferable to get the informed consent in writing. Research studies are part of the necessary life-cycle of new drugs and other products. They are also significant to new discoveries in universities and colleges throughout the country and throughout the world, if your company engages in off-shoring (also spelled: offshoring) and outsourcing clinical trials to Brazil, China, India, Japan, Korea, Eastern Europe, Latin America and the Middle East. These multi-regional clinical trials (MRCTs) for regulatory submission need participants. When people serve as research subjects, however, there is a great deal of information that the subject must understand, and consent to, in order to legally protect your study and your organization. It is highly likely that you will encounter non-English speaking subjects in your organization’s research. In that case, you will need expert legal translation services to make sure that your informed consent documents are legally effective, and that the subjects fully understand the scope of the risk they are taking. Instead of avoiding non-English speaking subjects, simply employ an on-call legal translation service that can give you the accurate translation services you require. Call today to inquire about having your clinical trial documents translated into Mandarin Chinese, French, Finnish, Cantonese, Indonesian, Polish, Spanish, Portuguese, Japanese, and other languages. Medical Interpreters for LEP Patients Read It!